Mother’s Day is on Sunday, May 14, to honour our fantastic moms out there. So you better come up with a good gift for mom, or else, right? 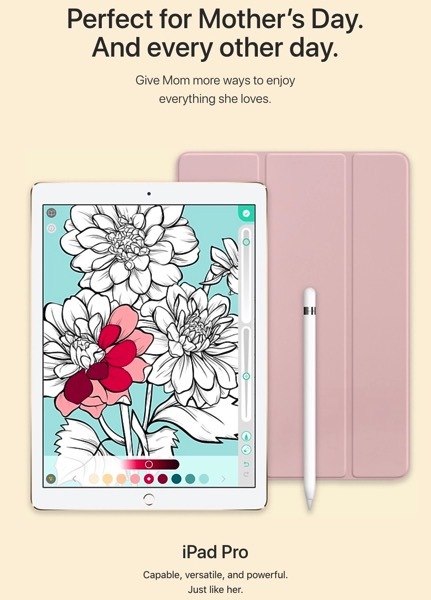 Apple has launched their Mother’s Day gift guide (pretty in pink of course) on their website, which suggests presents to get for mom. Apple says iPad Pro is “Capable, versatile, and powerful. Just like her.” Also, Apple Watch is “The gift that keeps her active, healthy, and connected.” Don’t forget BeatsX earphones will allow “More freedom to move and groove through her day.” (They’re on sale for $50 off at Best Buy right now BTW). Apple also has categories of other gift ideas for mom, named ‘What’s New’, ‘Creativity’, ‘Health & Fitness’ and ‘Headphones & Speakers’. 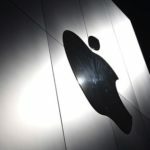 Are you going to be buying mom a gift for Mother’s Day from Apple?